I am thankful this time of year because it is tradition to give thanks and do unto others who are in need. It has not been a good year in so many aspects of my life, but as the days turn into weeks and those weeks lapse into months, God is cultivating in my heart a new beginning and a fresh start and He has revealed to me so many blessings in the midst of my pain. I am without my father here on this earth but I was blessed by him in my life for 42 years and I will be blessed in eternity with him. I am without a home that bears my name on the title, but I am blessed with a little apartment that is safe and warm, cozy and secure. Behind every trial, there is a blessing and I want to celebrate Thanksgiving everyday of the year. I think everyone can find a blessing in the middle of a trial, just trust that God has the lead in this life we live here on earth. I am thankful for a warm place to lay my head and rest my body at night. I am thankful for these two precious children of mine. They drive me crazy, make me laugh, make me cry, make me swear (forgive me Lord), make me sing, make me cringe, make me seethe, make me worry, make me smile and turn my world upside down but God blessed me with them and entrusted me to care for them and with their very heartbeat, I am blessed beyond measure. This is my family. My mom and dad my brother and sister in January of this year. We celebrated my parents 50th Wedding anniversary and I will forever cherish the memory of that beautiful celebration of their love and commitment to each other and to us children. The blessings in my life are in over-abundance. A little kitchen from which to make meals seasoned with love and served from my heart is a blessing. I count myself blessed to have the opportunity to serve my sweet little boy. One look around and anyone can see that there is truly more to be thankful for and less to complain about. I am humbled by all that I have everyday and ask God to show me how I can be a blessing to someone in need. We will all eat turkey and all the trimmings this week but as we sit down and share in that satisfying meal, thank The Lord for all that you have and find one small way you can bless someone who may not have anything to be thankful for. God bless all of my blog friends, you are all very special to me. Beautiful post. I wish you a very happy Thanksgiving too. Happy Thanksgiving Debbie! Thanks for sharing your blessings. What a beautiful Post Debbie!! Do you have a new e-mail address... I send things to the one that I have...but was wondering if you had a new one to share with me!! Miss chatting back and forth!! What an absolutely beautiful post. 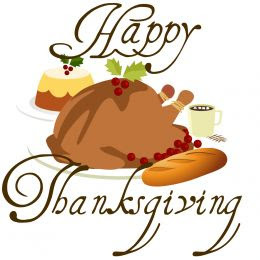 Hope you have the best Thanksgiving holiday ever! Missed you and glad to read your new post. I know that I am so blessed and have sooo much to be thankful for. God is so Good. Keep looking up and I'm praying for you during this time. Looks like you had a wonderful Thanksgiving! Your house is coming along beautifully! I love your bedroom. I haven't even begun to work on mine yet and I am now very anxious to start! You have such a beautiful family : ) Happy Thanksgiving! That *is* a beautiful post-the very heart of thanksgiving-to look outside of the pain and still be thankful. You are blessed. THANKS for sharing and reminding! You will be surprized at the strength you have to take care of those beautiful kids.. I know we often wonder is this a blessing or a @#$%!! Trust me they are blessings .. I wish you the best in all you do..